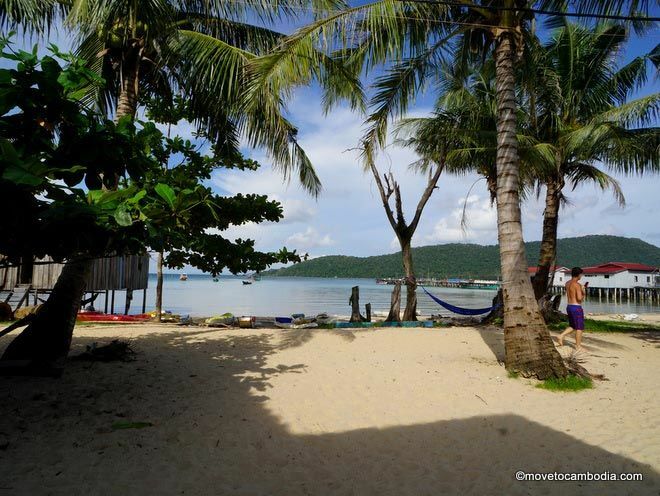 With dorms and bungalows, Easy Tiger is the perfect spot to kick back and enjoy life in M’phey Bei Village. “Easy, tiger” is an admonition to slow down and take it easy, and that’s exactly the atmosphere Easy Tiger cultivates, right down to the sign on the wall that says “Don’t rush, just relax.” One of the first Western-owned businesses in M’phey Bei Village, it has perfected the art of encouraging guests to sit around and do nothing except gaze at the sea and wonder when the next boat will pull up to shore. Take it easy, tiger, in M’phey Bei Village. 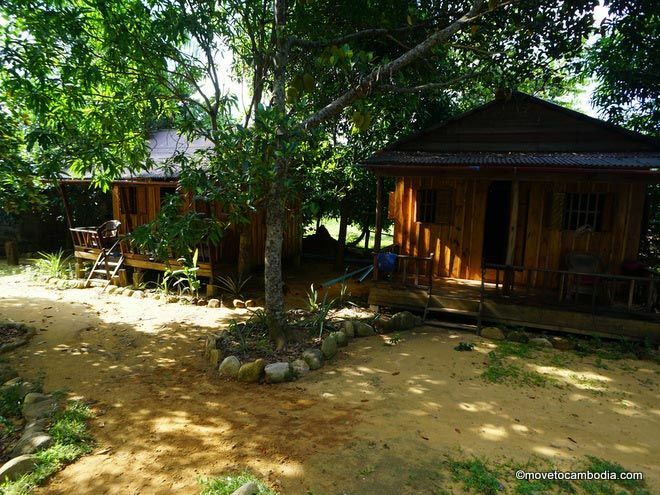 Easy Tiger has four wooden bungalows, each with two double beds with mosquito nets and a private bathroom. The bungalows are very simple, with rattan walls and not much else, but they are clean and comfortable. Bungalows are cooled by fan and have unheated showers, and each has a private balcony with chairs. When we stayed we were told that there would be electricity from 7 a.m. until midnight, but apparently they left a generator on so they could watch a late-night football match, because our fan was on all night. Our only complaint was that there were no electrical outlets in the bungalows, but you can leave your devices charging at the bar. Private bungalows at Easy Tiger are simple but get the job done. The dorm is larger than most on the island, with wooden bunk beds that aren’t jammed together like sardines. 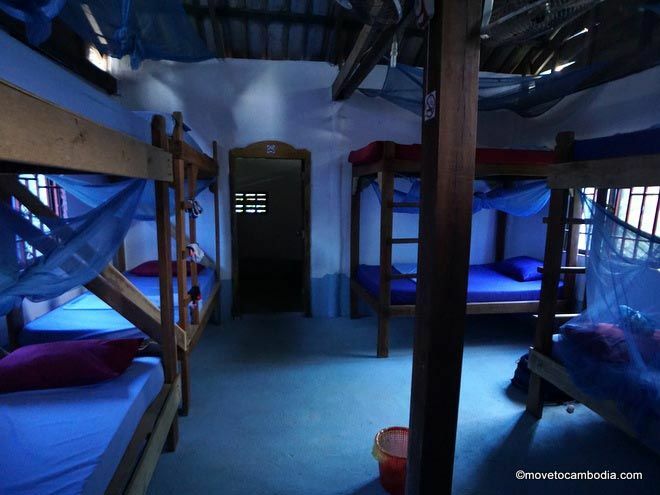 Each bed has a mosquito net and a locker for backpacks and luggage. The dorm, which is in a building just over from the restaurant and main bar area, has several oscillating fans to keep the place cool. Like most of the places in M’phey Bei, Easy Tiger is going for the hang-around-and-never-leave vibe. There’s more than enough to do — they rent paddleboards, kayaks, and snorkeling kits, and for those who aren’t feeling up to anything quite so athletic, they screen premier league soccer games and the like on a flat-screen TV in the bar. They also offer fishing trips or sunset boat trips for $5. There’s room to spread out in the spacious Easy Tiger dorms. 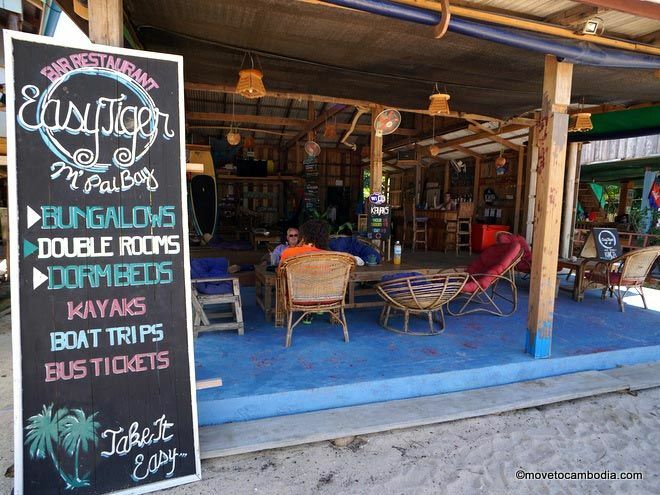 The beachside restaurant and communal area offer ample opportunity to sit back and relax, and we noticed quite a lot of mid-day Klangs — the unofficial island beer of Cambodia — being consumed. The restaurant menu offers simple but good European and Khmer dishes, most priced between $2 and $4. Be prepared to wait for your food — the beach-bum attitude extends to the kitchen staff. 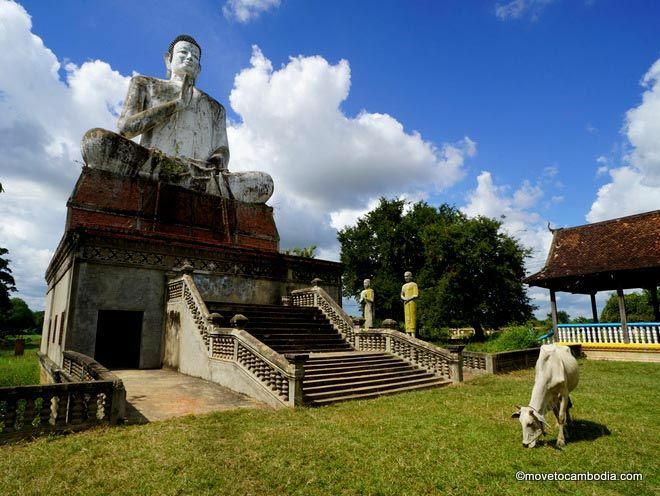 Overall, if you’re looking the stay in M’phey Bei for a while, Easy Tiger is a good choice. The view from the Easy Tiger restaurant and bar. Why ever leave? Bookings are available online, either on Booking.com or Hostelworld. When we stayed, the price on Booking.com was lower than what we were quoted as a walk-in, but they were willing to match the price. Single occupancy rates are slightly cheaper. 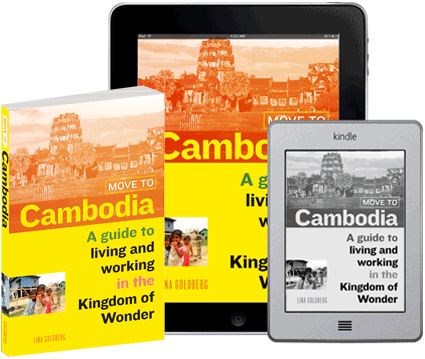 → Check prices and book a room at Easy Tiger on Booking.com or Hostelworld now.